Five storey 15,500 sq. 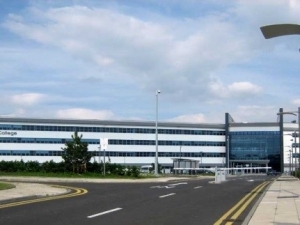 metre new build College facility at Scottish Enterprise Technology Park, East Kilbride to replace existing disparate Campus Buildings. Full M&E services design and supervision. Full dynamic daylight linked lighting control and emergency lighting monitoring system. Active harmonic conditioning. Inverter controlled heat recovery variable refrigerant volume air conditioning systems (R410a) with mechanical ventilation with high efficiency heat recovery.